Notice how in this simple composition how your eye is lead around the composition in an attempt to link similar hook like shapes found in the end of the roots. They create a strong similarity grouping. 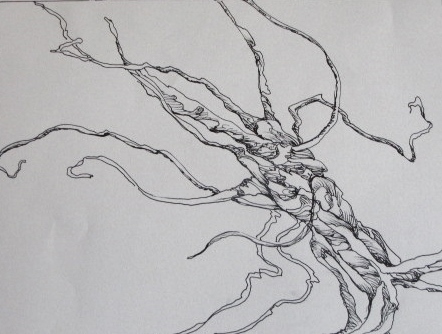 You are currently reading Tree Root Tendrils at Dr. Mary McNaughton and Drawing.